About - Roll Products, Inc.
products – we can help. We’re happiest when we’re working with you to help formulate a solution that your customers face. Because it’s not about Roll Products – it’s about you. Let us know how we can assist your customers’ and your growth! 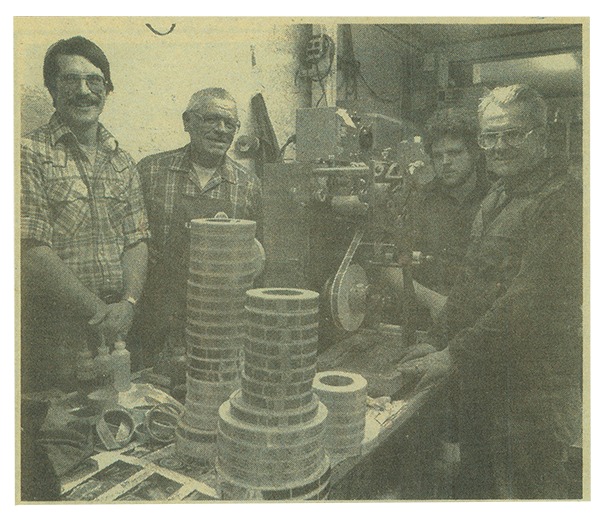 Some of our first employees in 1978, posing for a newspaper article on the acquisition of our first building. Along with Kathleen's nursing background, Del pulled on his pharmaceutical sales experience, and started Roll Products in 1976 selling to mostly medical and library supply companies. 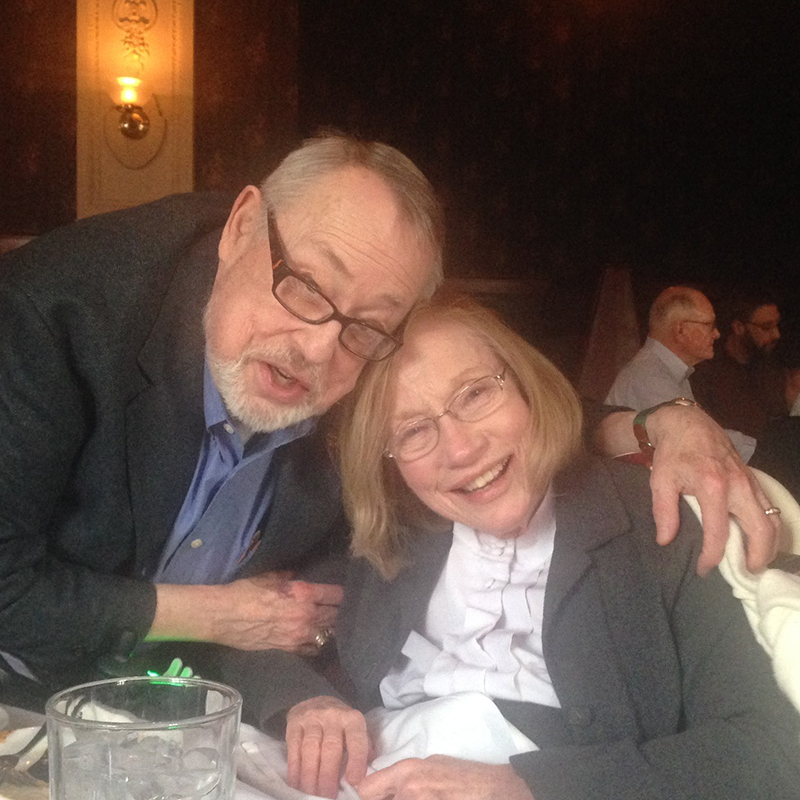 Moving the company to Kansas with Kathleen in 1987, Del expanded RPI's markets, creating innovative products and solutions until his passing in April, 2017. Kathleen, having retired some years ago, still resides 10 blocks from the business. Patrick is a family friend, classmate of Andrew’s from Kindergarten through Kansas State, and now also a colleague. One of Del’s final decisions before his declining health was to hire Patrick in 2013. He saw in Patrick a stack of creative talent, coupled with an organized, decisive manner, honed through experience in customer sales and managing a successful e-commerce business. Like the rest of Del and Kathleen’s 7 children, Andrew’s summers growing up & all through college were spent at the packaging stations, rewinders, and tape slitters of RPI. After graduating from Kansas State, starting a business, and gathering expertise in marketing, sales, and customer support, he returned to the company full-time in 2008. He took over as President in 2016, operating from RPI’s southwest location in Phoenix. Joe makes up the the third leg of management, and has been a family friend years before he was in the business. Prior to accepting his role as Operations Manager in early 2016, he spent nearly a decade in management of a local Inc. 5000 business, helping it grow from the ground up. His experience lends professional, customer-centered growth to RPI. Not a place to work. Roll Products is a company that serves international clients, while staying true to its small-town roots in the Midwest, USA. Our company goals were dictated by our founder, have been set by our president, and are reinforced by the experiences of our employees – some of whom have been with us since we moved our company to Kansas 3 decades ago! The RPI culture starts at the top with our management team, and is reflected by each of our employees — all of whom we are privileged to work with every day. We strive to do what we can as a company to allow them to feel the same way! What does this mean for our you, our customers? Simply, a good culture leads to good work, consistently excellent products, and tremendous customer service. A smile and a little positivity can go a long way – even with just labels and tape. To place our company totally under the loving care of Almighty God, working each day for His greater glory. To remain a family-owned business. To provide as many sustainable jobs as possible to our communities. To see our customers as not just customers – but partners whom we work with to provide a positive, affordable product for the end user. To source, as exclusively as possible, from local, and US producers. To be a positive employer with a “Work to Live” mentality for our employees and their families. Providing to as many other charities and good works as possible, such as our local churches, scholarship funds, and more.